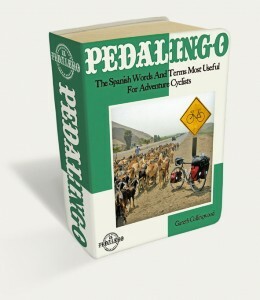 Do Cyclists Have To Pay Peajes? 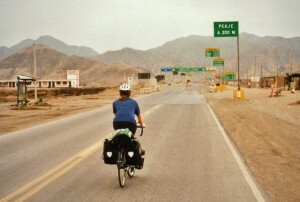 Many roads in Latin America are paid for with peajes (tolls). No matter which route you ride, eventually you’ll encounter one. Most toll-controlled roads are run by the state. Some are privately owned. Some are unofficial or even illegal (but I’ll get to these later). 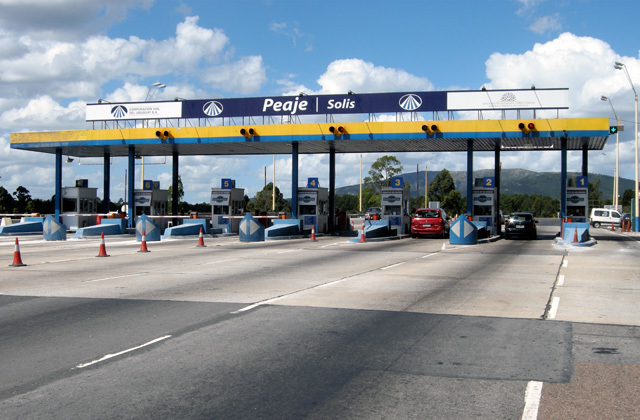 At official peajes, the money is collected from drivers at controlled posts. These could be automated and unstaffed, with payments made by card-swipes and coin bins. Or they could be fully staffed by state or private toll-booth operators, or in some cases by the police or even the army. There’s no quick answer. The situation varies from country to country, road to road, and peaje to peaje. 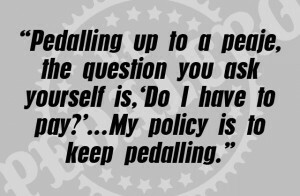 My policy is to keep pedalling. I ride to the side of the road, off the asphalt, and keep a steady, slow-to-medium pace. I look straight ahead and ride through the peaje without pausing. To any guard who might see me, I smile and say, “buenos días.” I’ve probably rolled through over a hundred peajes this way and I’ve almost never been stopped. 1. No one notices. The area around peajes is often chaotic: dogs, chickens, street vendors, floating garbage, people on bicycles, dust, noise. You know the scene. 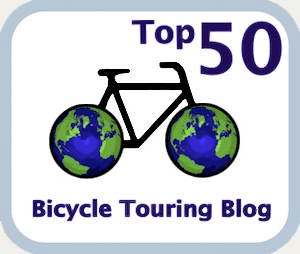 Touring cyclists will usually roll through completely unnoticed. 2. No one cares. The peaje workers are apathetic about their job and turn a blind eye to anything that doesn’t directly affect them. They may have noticed you, but they don’t care. 3. 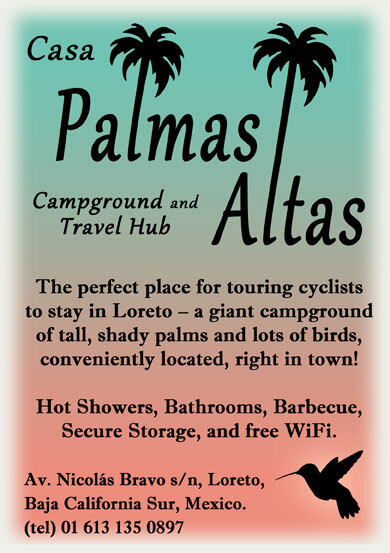 Cyclists are not expected to pay peajes. This is very common. As operators of non-motorized vehicles, cyclists are usually exempt. 4. The peaje is automated and unstaffed. No need even to slow down! Now, I said I’ve almost never been stopped. At some military-run peajes I’ve been stopped and asked about my route. I wasn’t expected to pay the toll, but sometimes I got useful advice and information about conditions ahead. There was one time when I was expected to stop at a peaje but I kept riding (read full post here). I neither recommend nor discourage you from doing this. It depends on the situation and how much you care about rules. In Mexico, two parallel highways connect major cities–one big, one small. Looking at a map, you’d guess the smaller road would be safer for cyclists, but it’s not. The large toll-paid highway is multi-laned, well-paved, and modern with wide shoulders and few vehicles. The small toll-free highway is the old, original highway; single-laned, potholed, and congested. Big companies and rich people use the toll highways. Everyone else fights for space on the old highway where accidents are frequent and cyclists have limited space. Not only are the toll highways safer, but because they avoid all the small towns, it’s easier to find places to camp. Sometimes, you’ll see “No Bicycles” signs, but I ignore these and so, apparently, do the authorities because I’ve never been told to leave. Finally, there are the unofficial and illegal peajes. These are a problem because you never know where they will appear or what to expect. You round a bend and suddenly you’re faced with a group of men holding a rope across the road. Sometimes it’s a giant branch or a tree. In some places (Chiapas, for example) indigenous groups will use this ploy and explain that you’re entering their territory and must pay a fee. What they’re doing may be illegal, but it’s arguably understandable given the history. If you play along it could pay off down the road should you need to ask for water or food or a place to camp. Much worse are bandits who block the road and rob drivers (and cyclists) in broad daylight. Fortunately, it’s not common. I’ve encountered small-time bandits a couple of times. So far, I’ve avoided being robbed by speeding up and riding around them (sometimes, with my machete in one hand). I’m by no means recommending this tactic and certainly there are places I wouldn’t do it. But spend enough time on the road and you learn to read situations and assess risk accordingly. Information regarding toll-roads is constantly changing and often contradictory. The more we share our stories, the clearer the picture gets. What have been your experiences with peajes? Share a comment below!